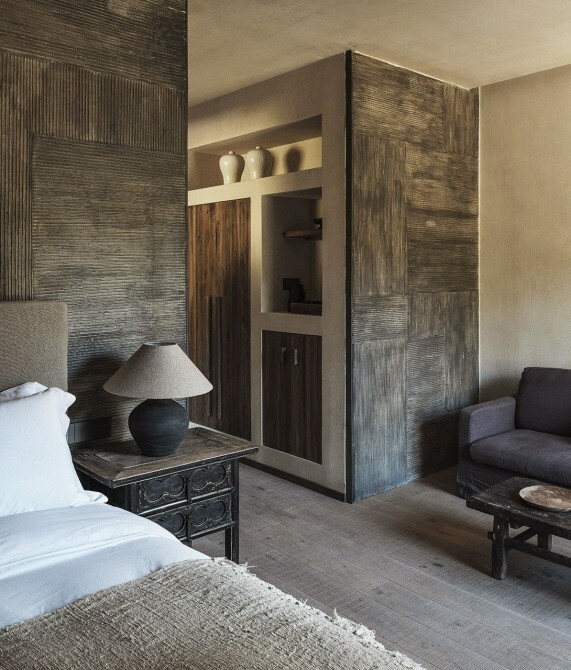 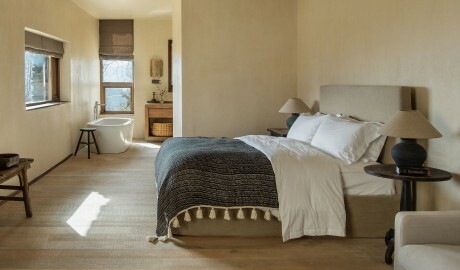 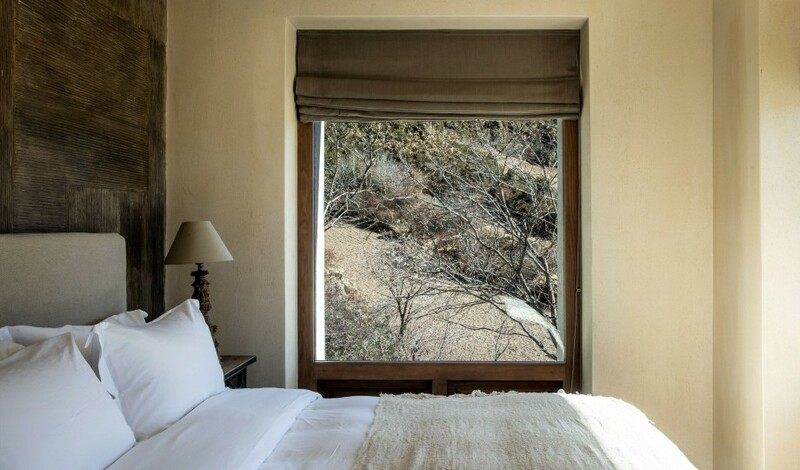 —Sunyata Hotel Meili, in the ruggedly awe-inspiring mountain terrain of China’s Yunnan province, pays homage to the Japanese philosophy of wabi-sabi. 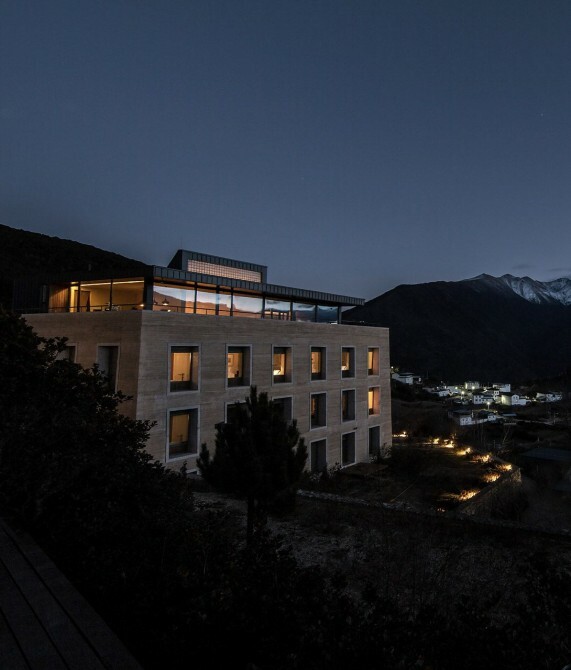 As your gaze wanders over the sacred Snow Meili Mountain, the “Three Parallel Rivers” of Asia’s greatest tributaries, and a rich botanical World Heritage Site, you instantly understand why Sunyata Hotel Meili’s location in Wunongding village in China’s Yunnan province is special. 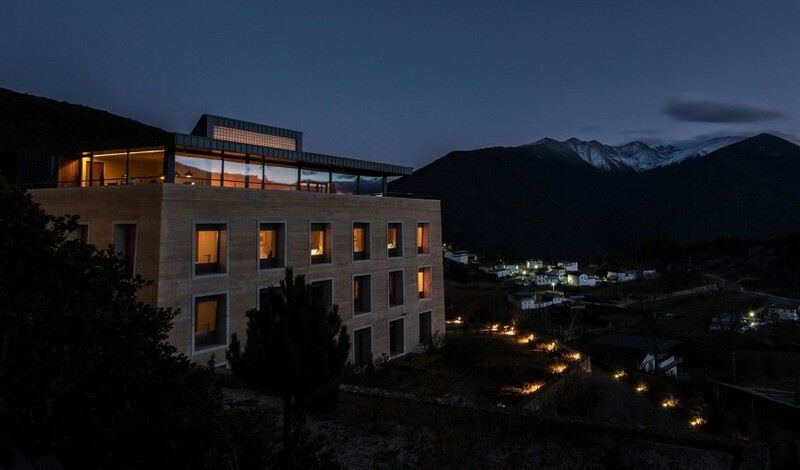 A cluster of 22 Shangri-La households, the village has been untouched for centuries. Thanks to the thoughtful restoration of an ancient Tibetan house, Sunyata is now accepted by locals as the 23rd house in the village. 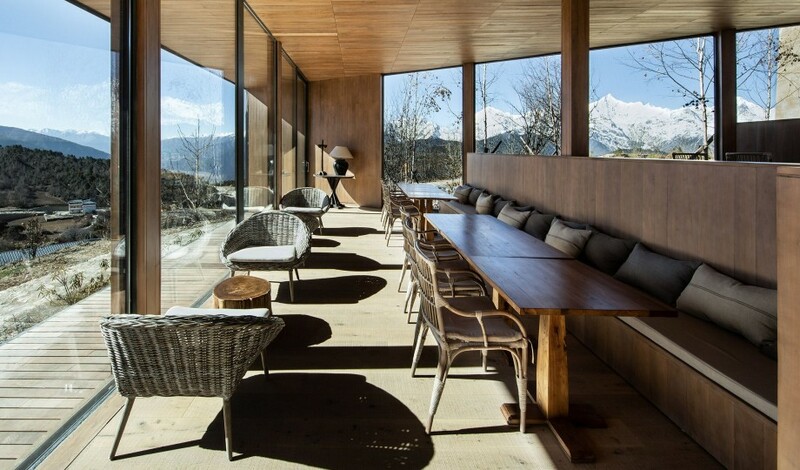 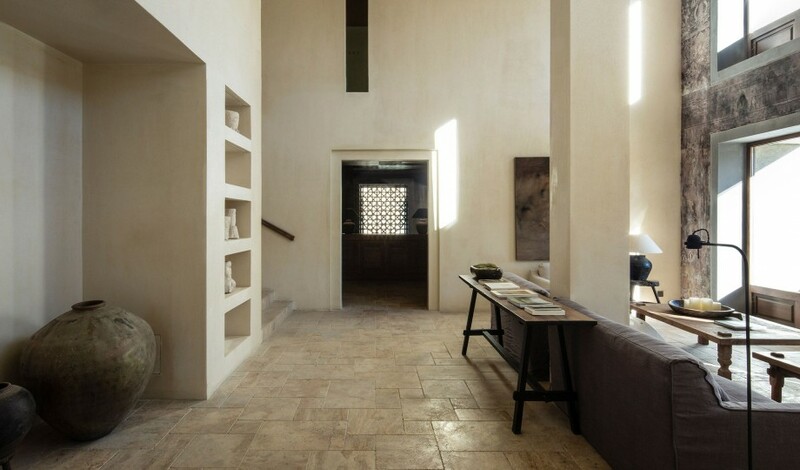 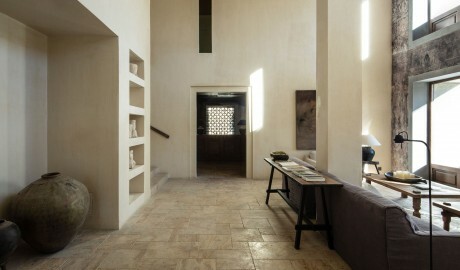 Guided by Tibetan principles of architecture, a gold curved arch reflects natural light illuminating the interiors. 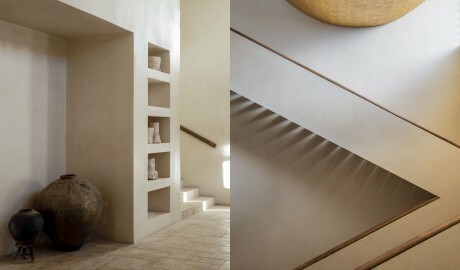 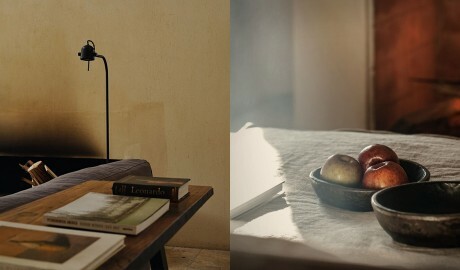 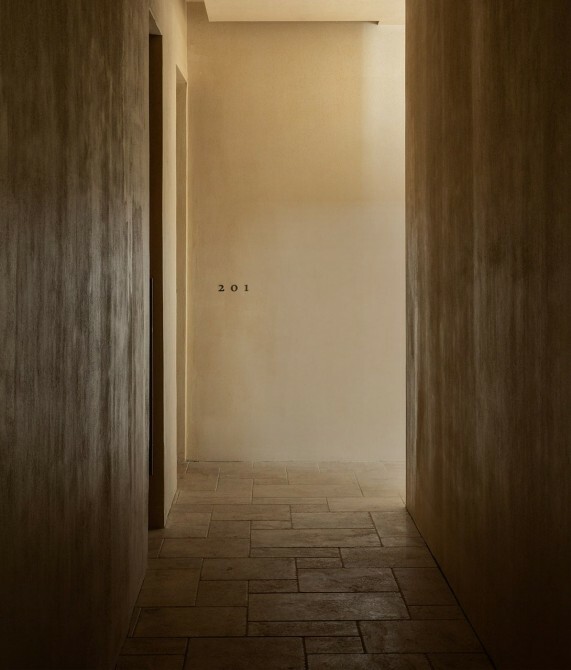 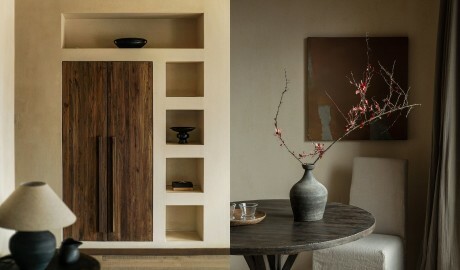 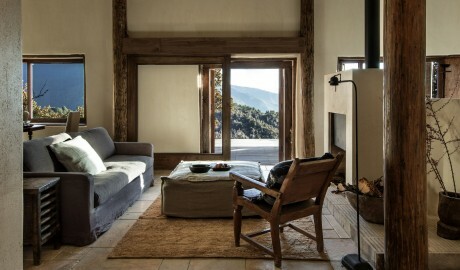 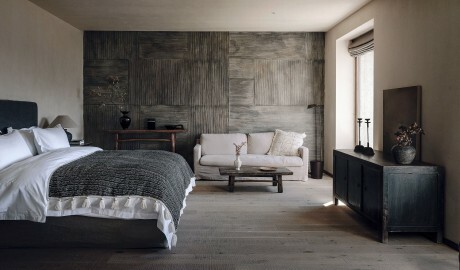 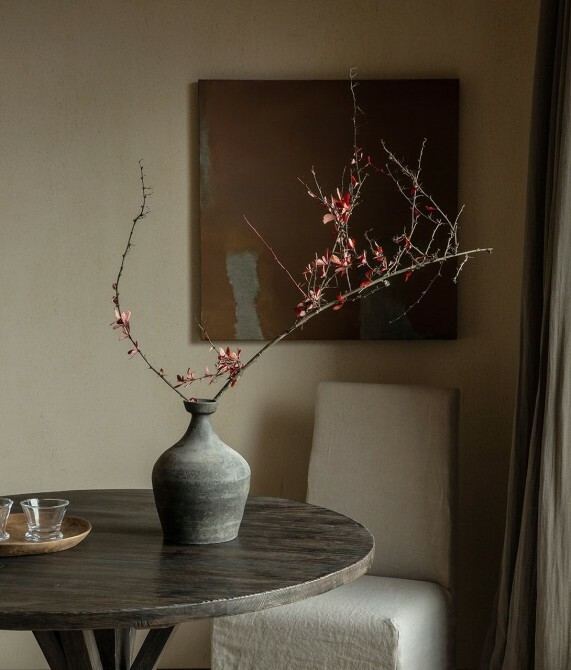 Here the philosophy of wabi-sabi is practiced through the aged texture of natural materials, salvaged wood, earthy colors, and a restrained aesthetic that treasures “emptiness”. 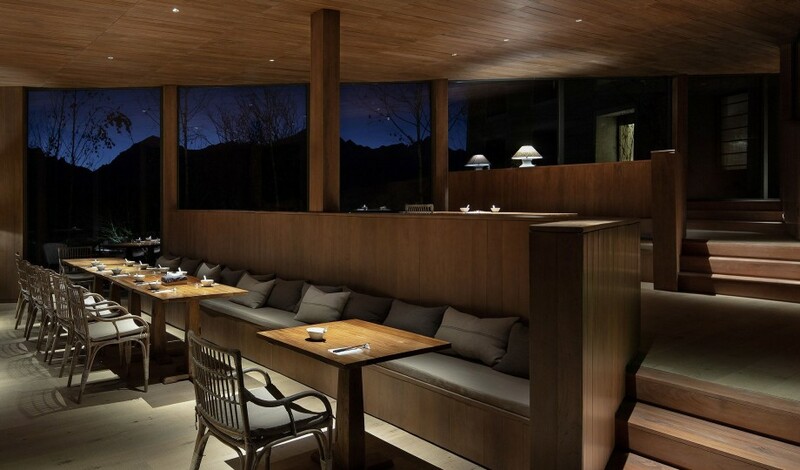 The rooftop lounge Kawagebo offers up the jagged beauty of the mountains and turns into a social hub in the evenings, while the restaurant serves authentic seasonal Yunnan cuisine. 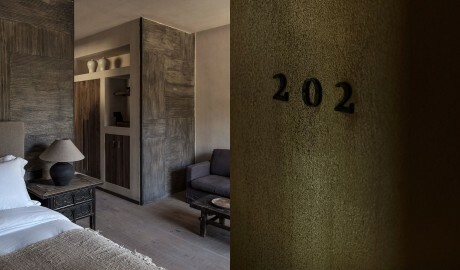 Should you wish to venture out, rest assured you will be welcomed into the 22 households of the village. 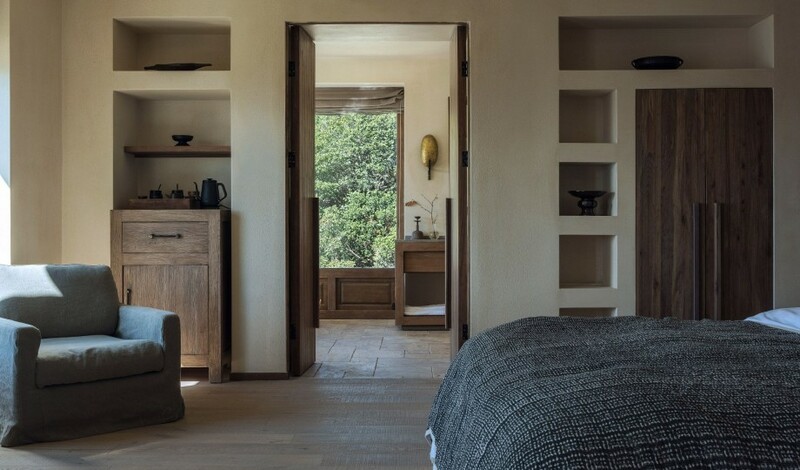 The 19 rooms and suites feature an open-studio layout and reclaimed furniture crafted by local artisans, as well as custom-made pieces from the Yiji Collection by Ke Xie. 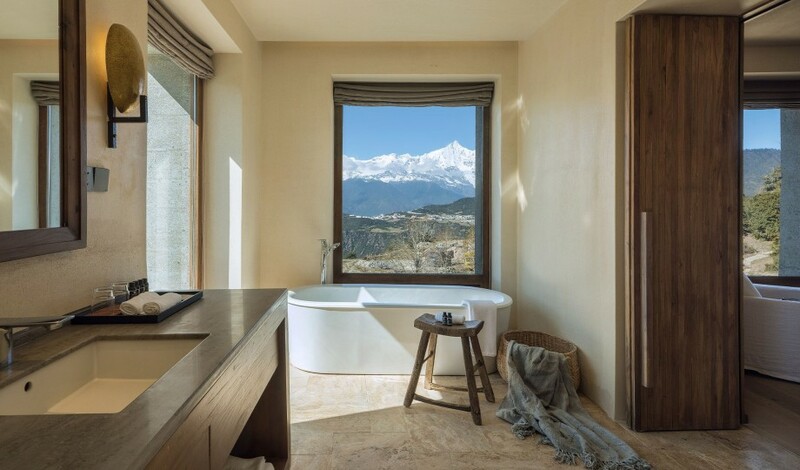 All rooms have mountain views and a selection of multilingual books, ranging from literature to nature and social science books about the Shangri-La region. 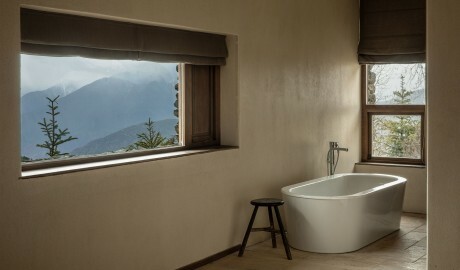 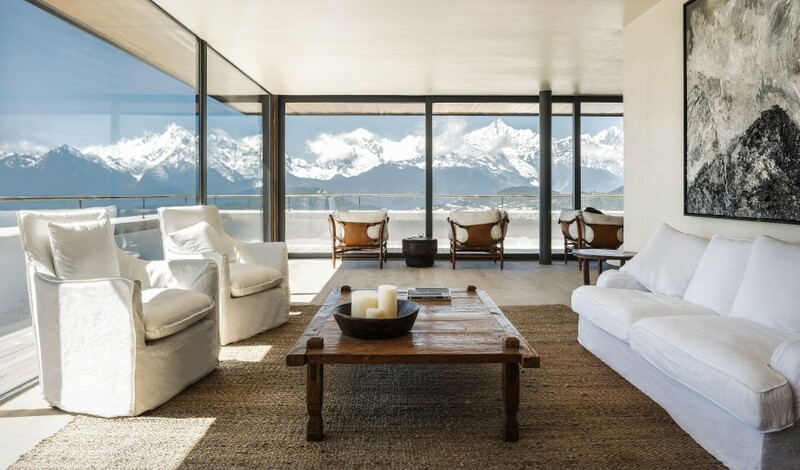 The 30-square-meter Mountain View Room has a sitting room, whereas the 45-square-meter Snow Mountain Room has a balcony. 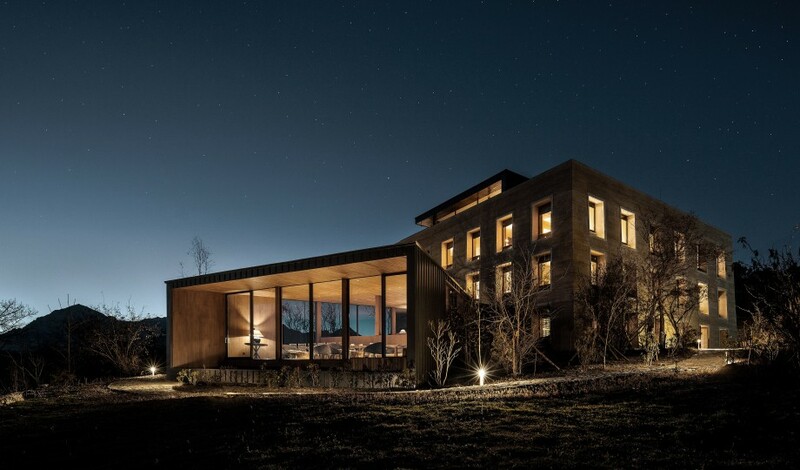 The 70-square-meter standalone villa, Noble House, has a Tibetan-style fireplace, a terrace, and a bathtub with mountain views. There is also a butler available around-the-clock and the daily rate is calculated on a full-board basis. 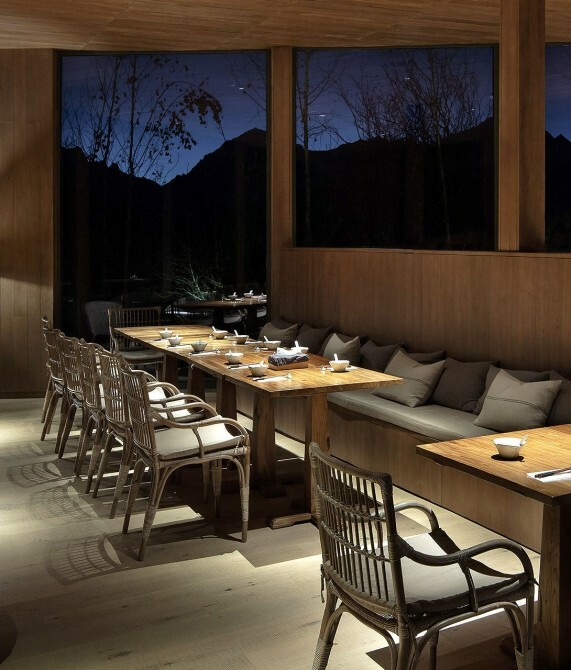 Subtle lighting, strategically placed candles, handwoven blankets, and naturally dyed textured fabrics create a cozy vibe at the restaurant. 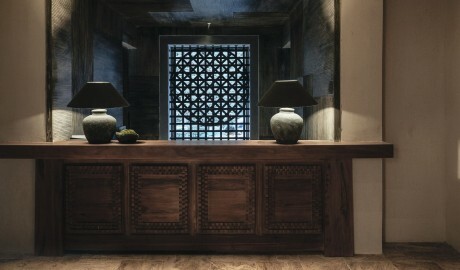 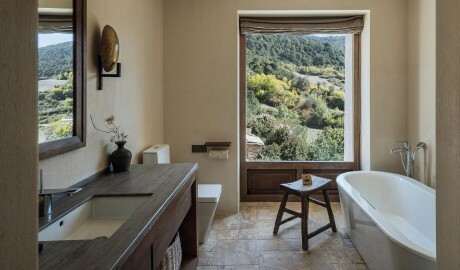 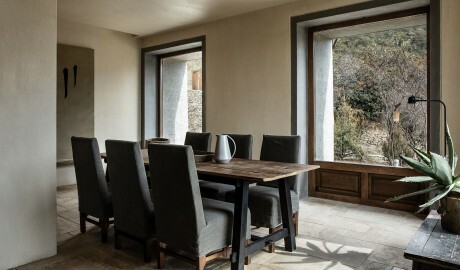 Carved from a former Tibetan home cradled in a remote hillside, the hotel has been repurposed by Dali-based studio Zhao Yang Architects, which transformed the two-and-a-half story former hostel into a four-floor hotel inspired by traditional local architecture. What do you get when you cross a creative mind with a love of traveling and an appreciation of Asian philosophy and literature? 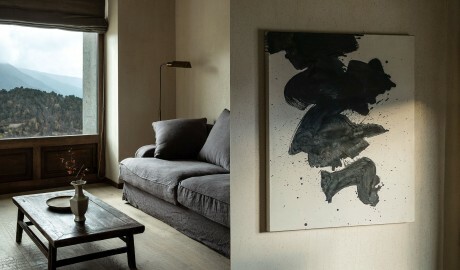 An Original entrepreneur: Lai Guoping. Guoping spent a lifetime at award-winning advertising agencies, including Ogilvy Group and Publicis as a creative leader, which in turn, laid the foundations for the trailblazing hotelier he is today. 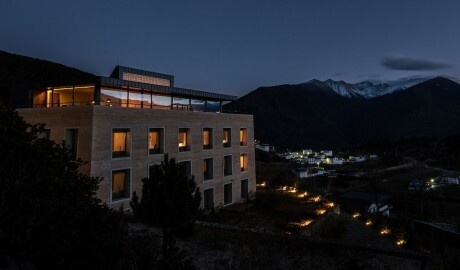 Of his soulful new hotel “Sunyata”, which means “emptiness” in Sanskrit, Guoping hopes to bring back the poetic way of living to modern China, where consumerism and materialism are washing away its people's cultural identity. The ruggedly gorgeous village of Wunongding in the Yunnan province of China is rightly called Shangri-La—it has everything from multipeaked, snowcapped mountains to mighty rivers and a rich landscape (a World Heritage Site).